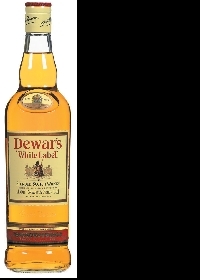 Dewar's is a brand of blended Scotch whisky created by John Dewar, Sr. in 1846. Under the control of his two sons, John A. Dewar Jr. and Thomas "Tommy" Dewar, the brand expanded to a global market by 1896. Tommy became famous as the author of a travel journal, Ramble Round the Globe, which documented his travels while publicizing the Dewar name. Dewar's eventually expanded their product by constructing the Aberfeldy Distillery in 1896, which produces single malt scotch whiskey.